Mormonism has only been around for less than two hundred years, but it has a large following in the United States. While their practices may be slightly different from mainstream Christianity, their fundamental desire to live as close to the life of Christ and preach faith is the same. 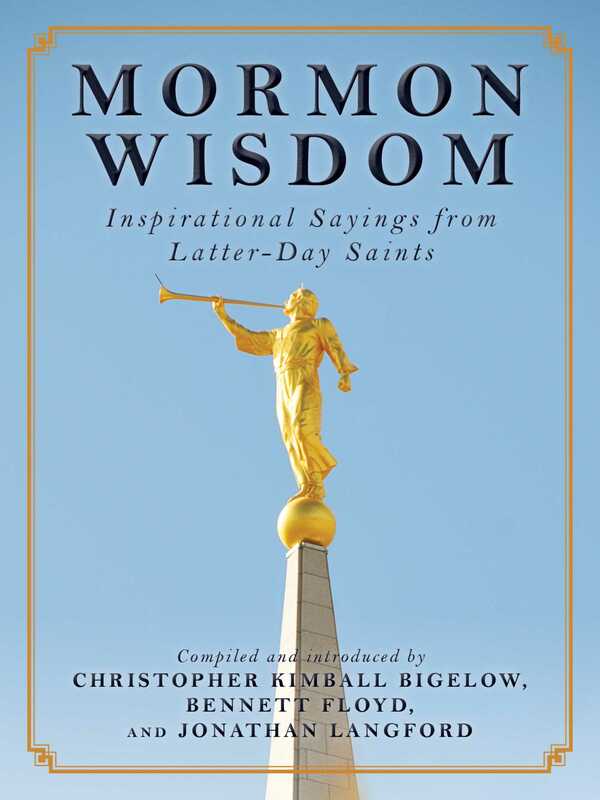 Mormon Wisdom is a collection of inspiration quotes from prominent leaders of the Church of Latter-day Saints, designed to enlighten, inspire, and motivate the reader. The earth is a living creature and breathes as much as you and I do. God rarely moves the mountains in front of us but He always helps us climb them. By becoming the answer to someone’s prayer, we often find the answers to our own. To be cheerful when others are in despair, to keep the faith when others falter, to be true even when we feel forsakenall of these are deeply desired outcomes during the deliberate, divine tutorials which God gives to usbecause He loves us.